Drop - Tail® PROLYTETM Floor Stand Cycle Chock Kit. 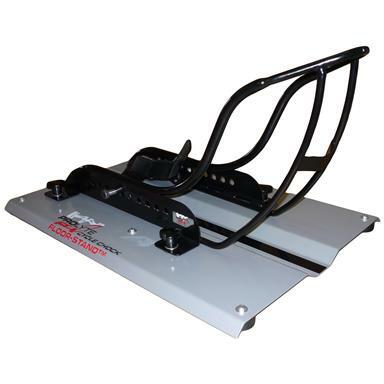 Quickly and easily converts from trailer chock to floor stand base! Like 2 for the price of 1... reliable fit and stability while you haul, handy floor-stand function when you're parked! Modular bolt-on Chock switches from trailer to ground in a flash, letting you service and detail your bike any way you see fit. For smaller motocross and dirt bikes.